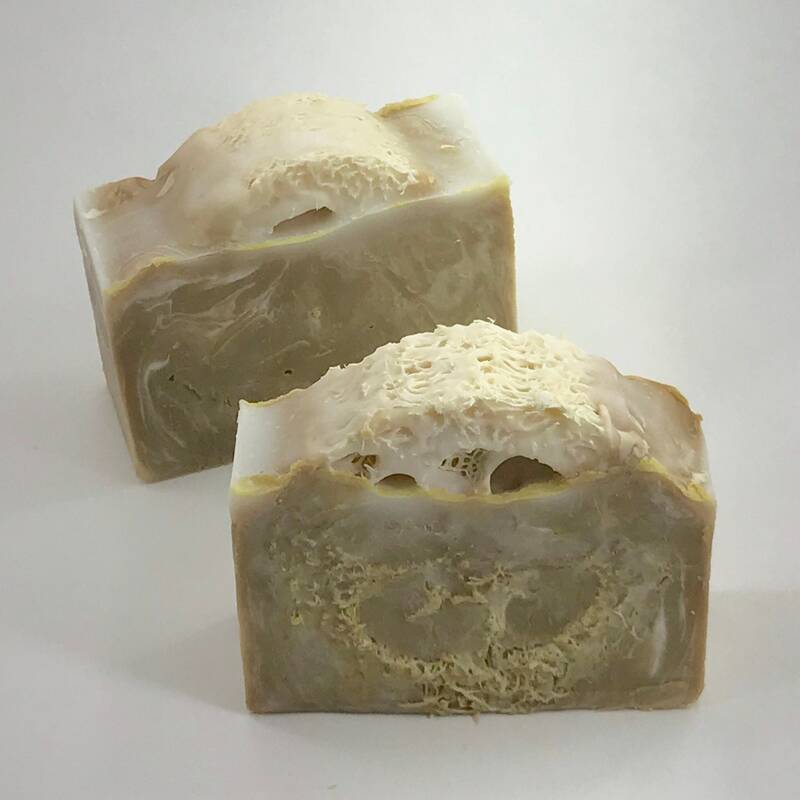 Tobacco, Sandalwood Loofah soap is an earthy, deep, scent rich with the aroma of fresh pipe tobacco and fragrant sandalwood. 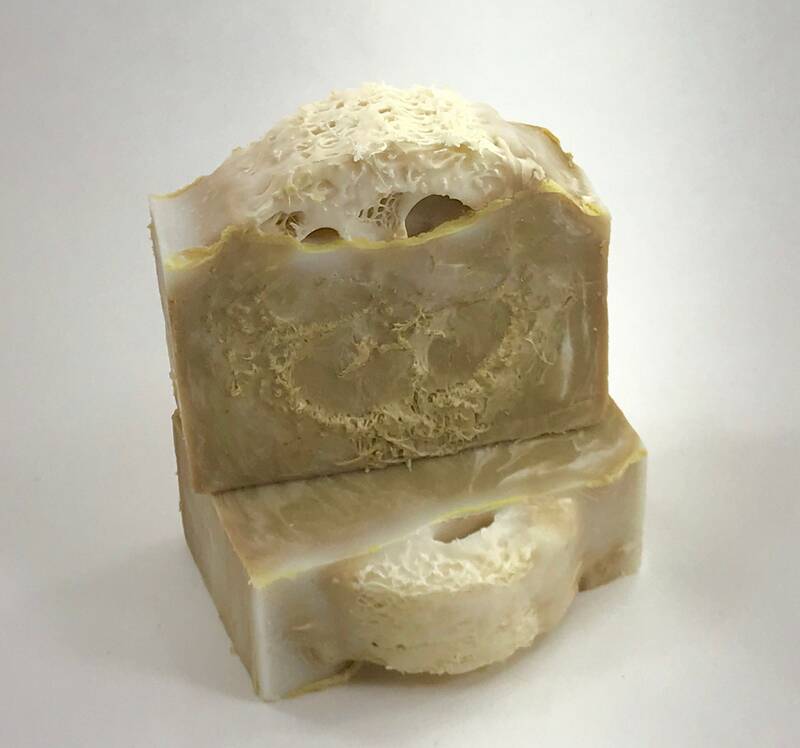 This is a great soap for people who love soaps with deep, non fruity fragrance profiles. 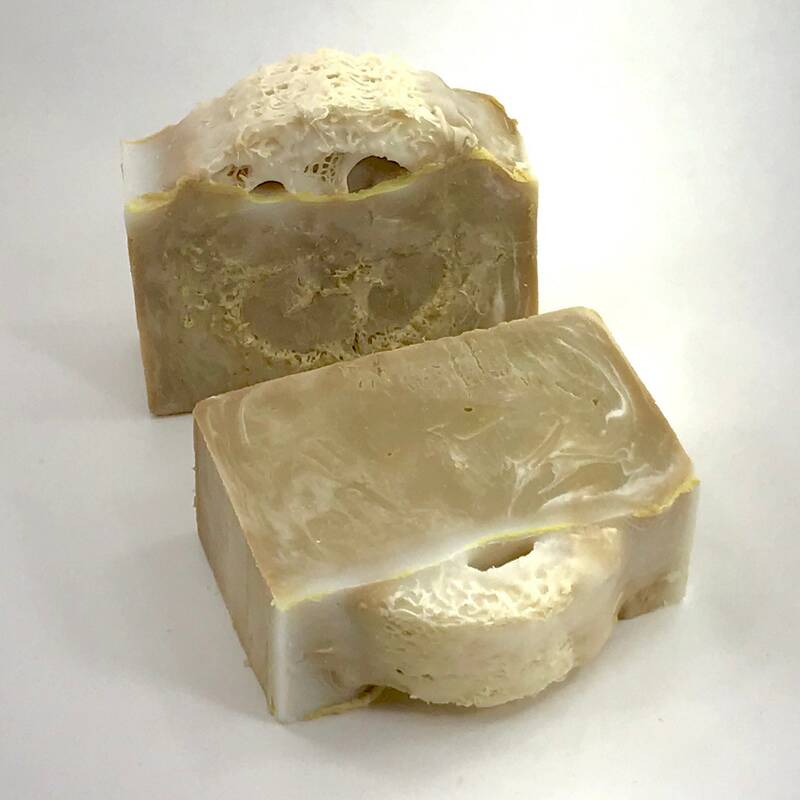 INGREDIENTS: Olive oil, lard, coconut oil, water, lye, phthalate free fragrance oil, natural loofah. I received the wrong item. It was for a Christmas gift for my boyfriend, so I didn't realize it wasn't the right item until he opened his gift. 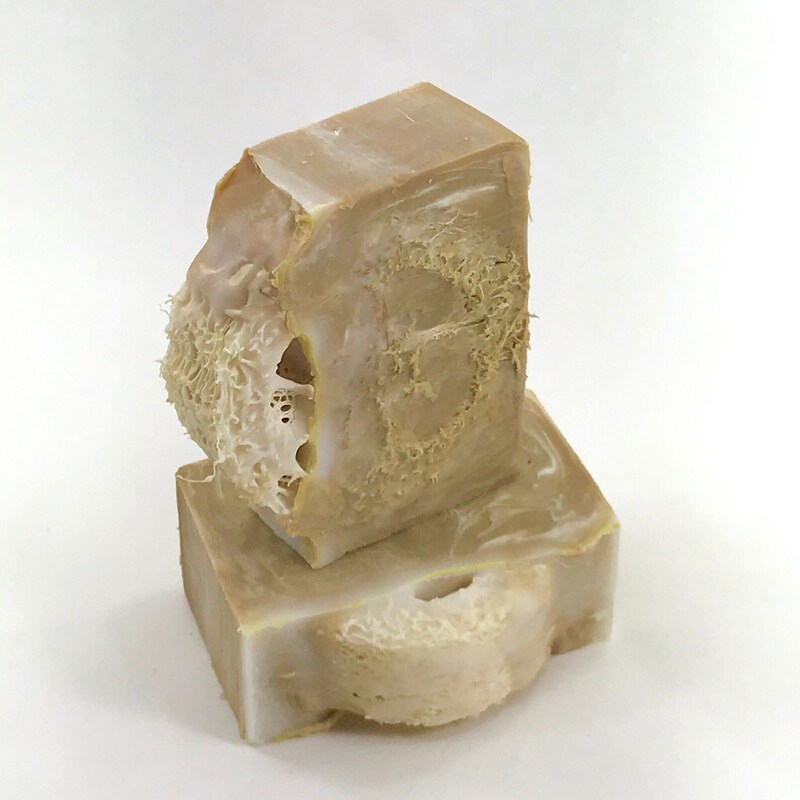 He likes what he got (it was your frankincense and myrrh soap) but I'm a little disappointed-the whole reason for me ordering this item was because of the loofah scrubbie fused into the soap, and what he got was definitely lacking said scrubbie. Still came in a timely manner with a small sample of Thieve' s Blend soap, so that was cool. Not a big deal-just not what I ordered or paid for.